A concentrated resin and aromatic pellet product from YCH, Mosaic LupuLN2 hop pellets give you all the flavor and aroma found in normal Mosaic hops without the plant material that can decrease yields and contribute astringency and vegetal characteristics! Mosaic LupuLN2 pellets are quite unique and will give incredible fruity notes of blueberry, tangerine, and tropical papaya that go well in a wide range of beers. As these have about twice the resin content of traditional hops, you can use them at half the rate! Mosaic LupuLN2 pellets are great for many American style ales and goes especially well in American pale ales and IPAs! Cryo Hops from YCH are here! 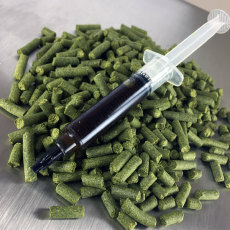 YCH Hops has developed these new LupuLN2 cryo hops through an innovative and proprietary cryogenic process of separating out the lupulin glands of whole hop cones in a nitrogen-rich environment, concentrating the lupulin glands and eliminating chances of oxidation. 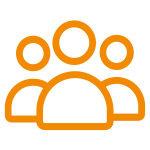 The result is Cryo LupuLN2 hop pellets, which are concentrated resins and aromatic compounds with greatly reduced cone material. This allows brewers to dose their beers with a strong hop character without introducing astringency or vegetal characters that can come with the organic matter of hops. These cryo hop pellets can increase hop flavor and aromas, specifically juicy and resinous characteristics, while also increasing yield by reducing plant material that absorbs wort. These generally have twice the resin content of traditional hops and should be used at half the amount by weight. All the great flavor and aroma of Mosaic hops without the plant material, greatly reducing astringent and vegetal character while increasing yield due to lower amounts of trub! Concentrated resin and aromatic hop compounds mean juicy, resinous flavors and aromas for your beer! Processed in a nitrogen-rich environment that eliminates opportunities for oxidation, giving your beers a fresh hop character for longer! 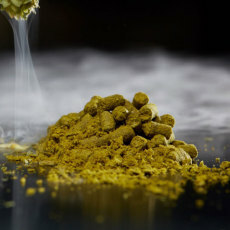 LupuLN2 hop pellets have twice the resin content and only need to be used at half the rate of normal pellet hops!